Buchholz relay is a safety device which is generally used in large oil immersed transformers (rated more than 500 kVA). It is a type of oil and gas actuated protection relay. It is used for the protection of a transformer from the faults occurring inside the transformer, such as impulse breakdown of the insulating oil, insulation failure of turns etc. Whenever a fault occurs inside the transformer, such as insulation failure of turns, breakdown of core or excess core heating, the fault is accompanied by production of excess heat. This excess heat decomposes the transformer insulating oil which results in production of gas. The generation of gases depend on intensity the of fault. Gas bubbles tend to flow in upward direction towards conservator and hence they are collected in the buchholz relay which is placed on the pipe connecting the transformer tank and conservator. 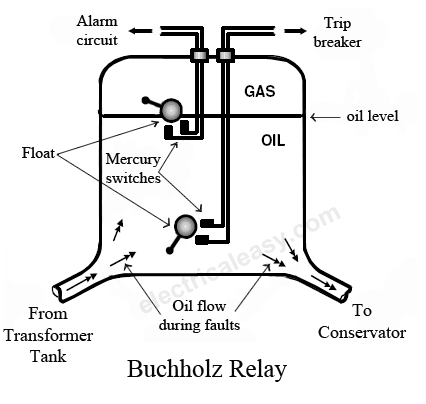 Buchholz relay consists of an oil filled chamber. There are two hinged floats, one at the top and other at the bottom in the chamber. Each float is accompanied by a mercury switch. The mercury switch on the upper float is connected to an alarm circuit and that on the lower float is connected to an external trip breaker. The construction of a buchholz relay is shown in the figure. How does a Buchholz Relay work? 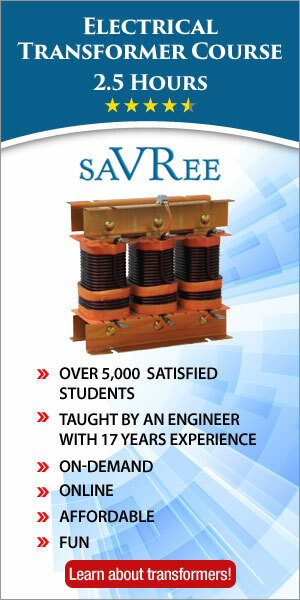 Whenever a minor fault occurs inside the transformer, heat is produced by the fault currents. The produced heat causes decomposition of transformer oil and gas bubbles are produced. These gas bubbles flow in upward direction and get collected in the buchholz relay. The collected gas displaces the oil in buchholz relay and the displacement is equivalent to the volume of gas collected. The displacement of oil causes the upper float to close the upper mercury switch which is connected to an alarm circuit. Hence, when minor fault occurs, the connected alarm gets activated. The collected amount of gas indicates the severity of the fault occurred. During minor faults the production of gas is not enough to move the lower float. Hence, during minor faults, the lower float is unaffected. During major faults, like phase to earth short circuit, the heat generated is high and a large amount of gas is produced. This large amount of gas will similarly flow upwards, but its motion is high enough to tilt the lower float in the buccholz relay. In this case, the lower float will cause the lower mercury switch which will trip the transformer from the supply, i.e. transformer is isolated from the supply. Buchholz relay indicates the internal faults due to heating and it helps in avoiding the major faults. Severity of the fault can be determined without even dismantling the transformer. 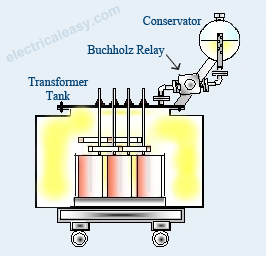 If a major fault occurs, the transformer can be isolated with the help of buchholz relay to prevent accidents.